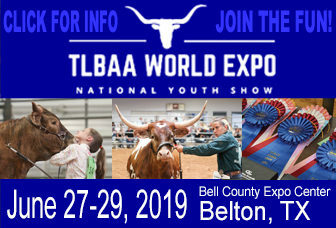 For most longhorn breeders it’s been a good year. The drought has broken for a lot of us. We have grass again and contented cows eating and sleeping and raising their beautiful babies. My bulls, who were quite young have now matured into handsome Herd Sires. Our market has picked up now that we’ve had rain and I’ve met several new breeders. I love my bloodlines and the babies these bloodlines are producing. I have Rip Saw calves on the ground and looking even better than I had anticipated. Buck Board is having unbelievable heifers and so are King Pin and Bull Whip. Of course, my two Butler Herd Sires are doing a great job especially on color and horn base. My aim is to cross some of their big based heifers with the long lateral horns my Owen McGill bulls are giving me. Thanks again to Mr. McGill and Johnny and Linda Wilson for allowing me to own quality bulls from their ranch. And thanks also to the breeders who sold me some wonderful cattle and to the breeders who bought mine. 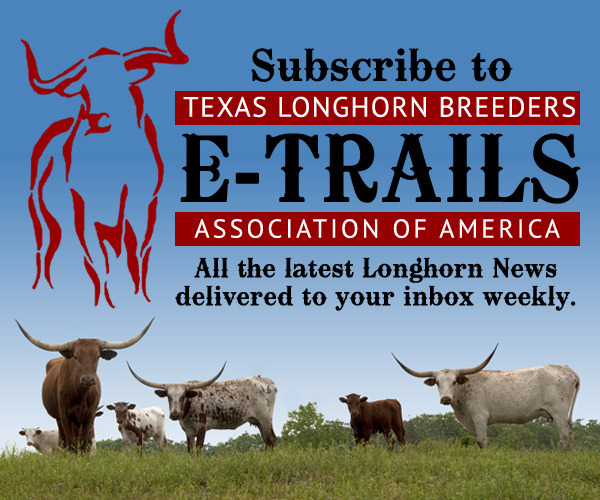 I want to welcome all the new breeders to our association: Texas Longhorn Breeders Association of America (TLBAA). What a great group of people we have! If you get a chance, come visit me at the ranch. I love company!! !